Español in the Valley will provide a “student centered” approach for our students. We will offer age appropriate materials, well trained instructors and a safe environment. Additionally, we hope to foster not only the acquisition of the Spanish language, but an appreciation of Spanish speaking countries’ cultures. 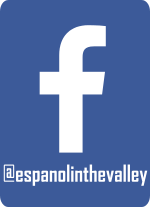 Español in the Valley is located in the beautiful Napa Valley. Our services include instruction and tutoring for all ages as well as translation and interpretation services available through staff with education and expertise in these areas. At the present time, we are offering our services at multiple locations in Napa. 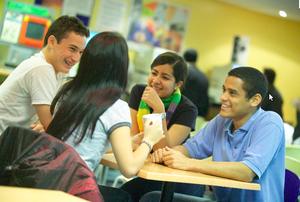 We also offer the flexibility of visting our students at their pre-arranged locations. Our main office is located in the North Napa area. We invite you to read each section in our website to learn in detail about our well trained instructors. Please do not hesitate to contact Dalila Hernandez, M.A. at 707-363-7327 or by email at hernandalila@gmail.com if you have further questions. with you to learn appropriate Spanish for your position. you need a place to study? your child is facing a Spanish test and needs help studying? your child have a Spanish project and needs help completing it?